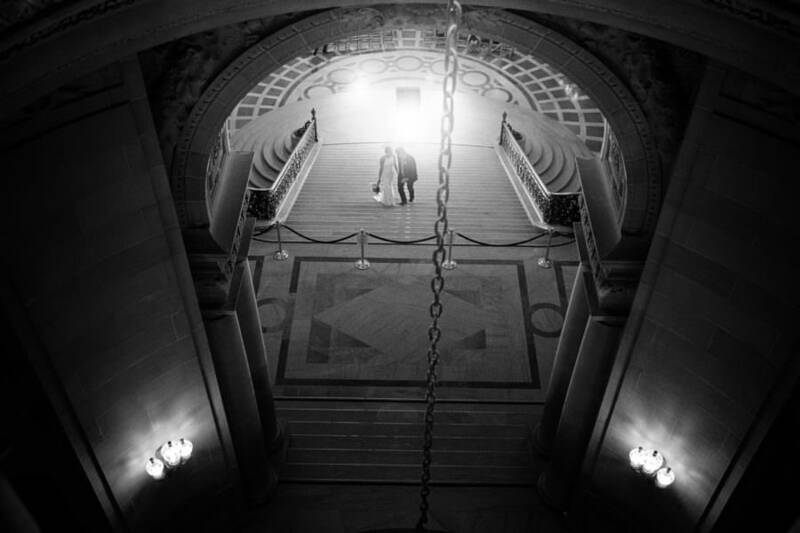 We have photographed San Francisco City Hall elopements as well as full-sized, formal weddings. 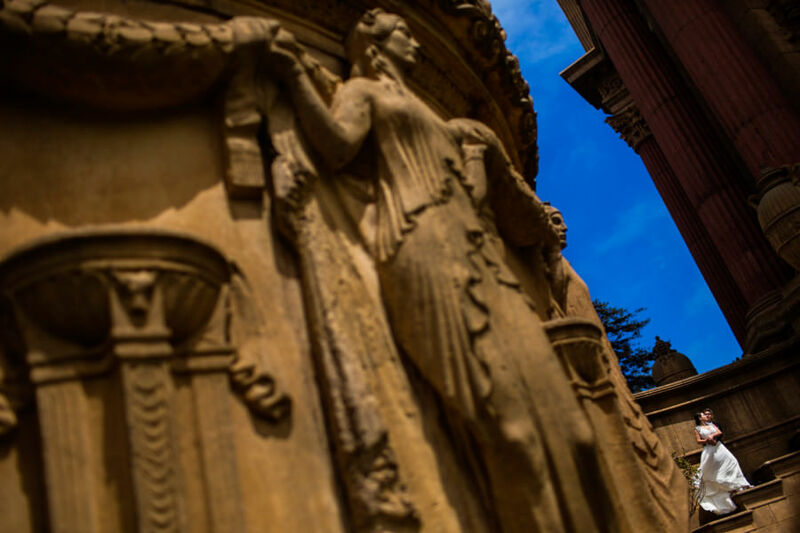 This San Francisco wedding venue is a favorite because of its history and because of its grand architecture and design. 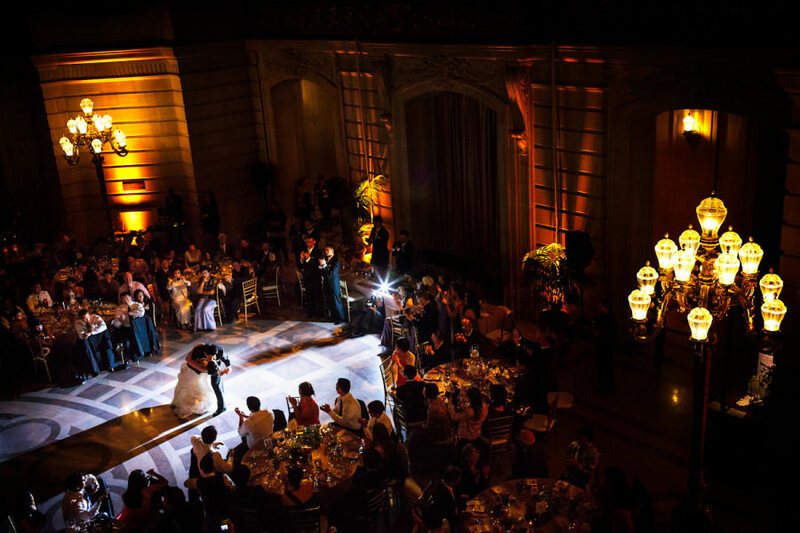 For your reception, add some colorful uplighting inside to turn this stately building into your own personal nightclub. 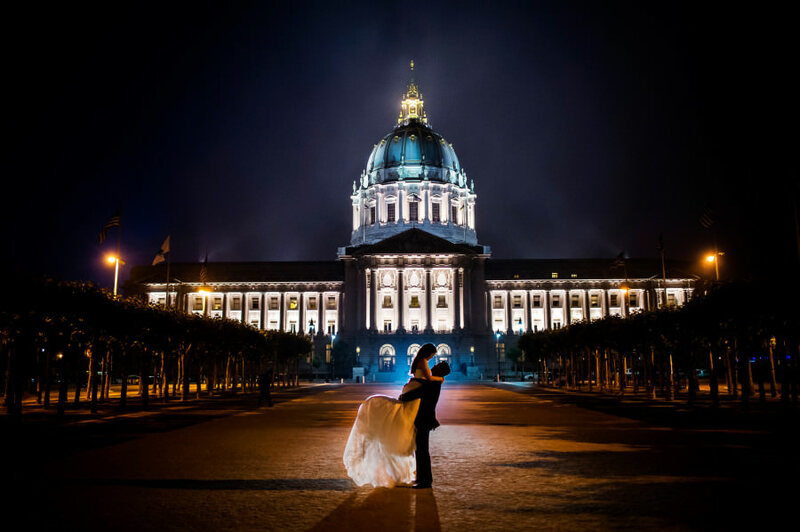 Jenny and Chris marry at SF City Hall, celebrate at 25 Lusk. 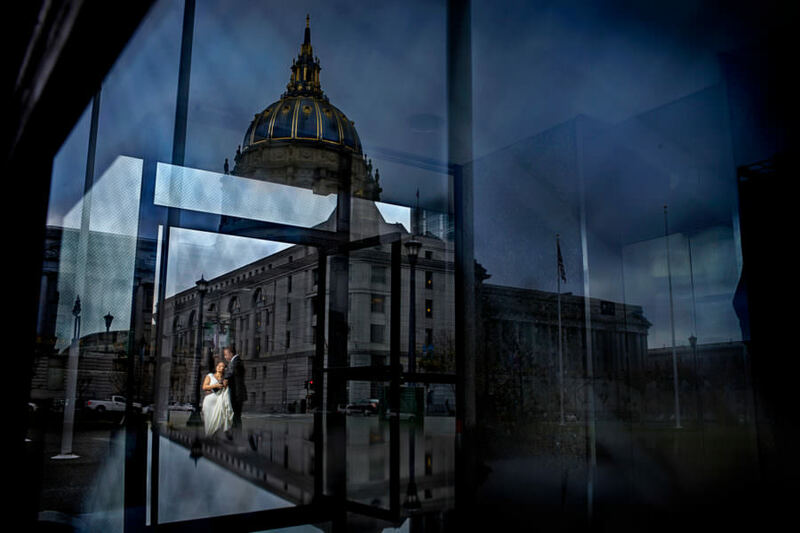 Chris and David’s wedding at City Hall in San Francisco. 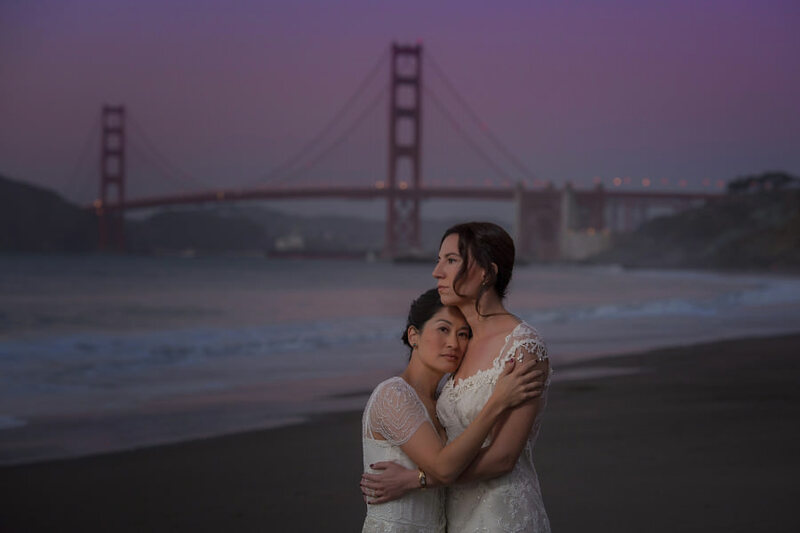 Jill and Carson live in Hawaii but chose to marry in San Francisco. 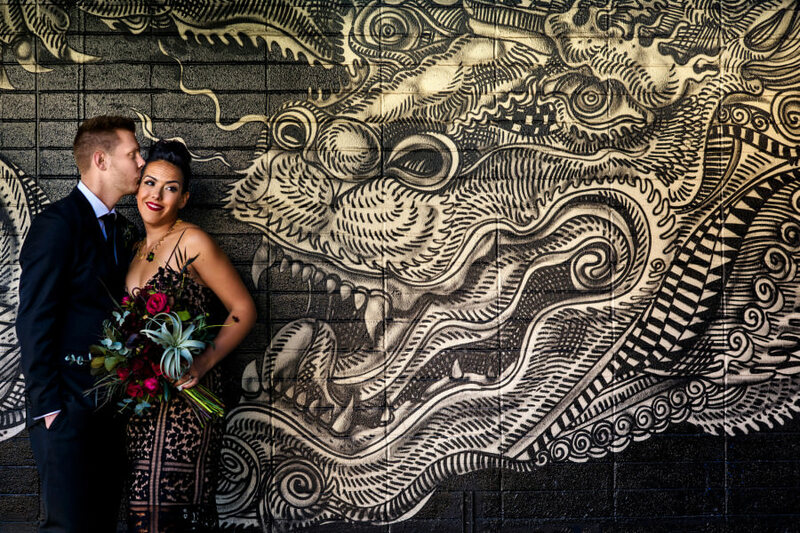 Resi and Troy marry at City Hall then take a limo trip around the city for portraits with their best friends in tow. 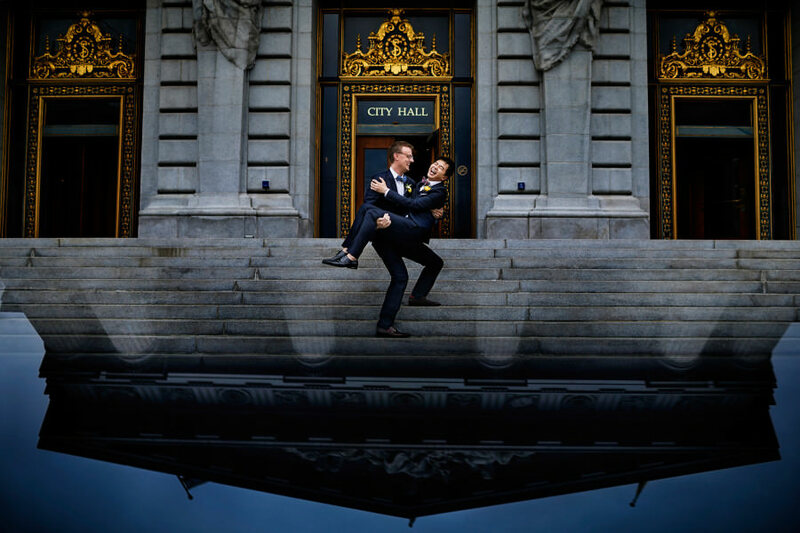 Joe and Miles marry in an emotional ceremony at San Francisco City Hall. 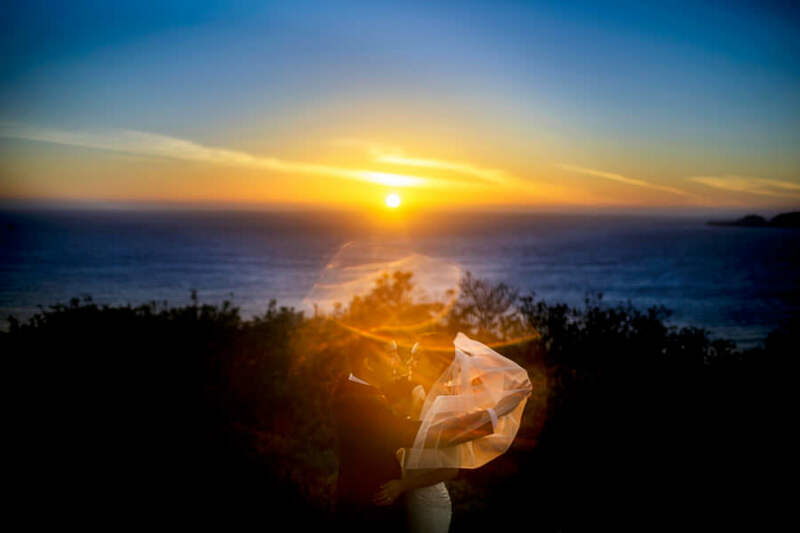 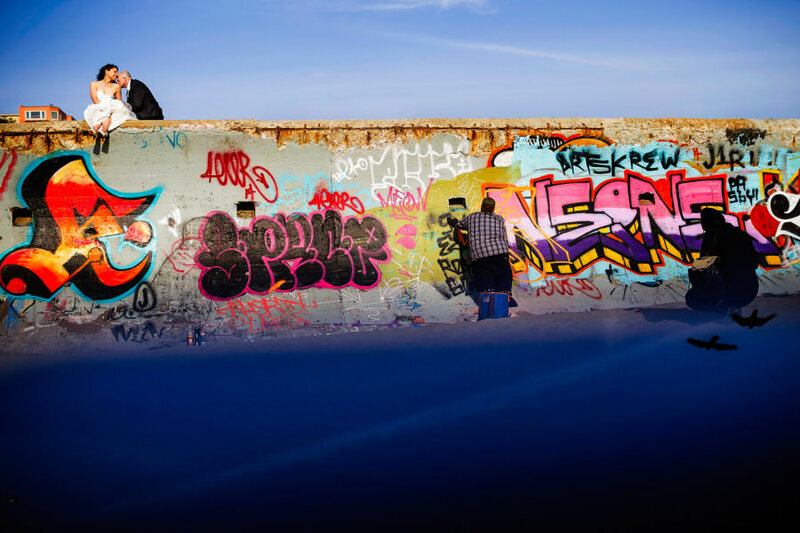 LA couple chooses two iconic San Francisco venues for their wedding day. 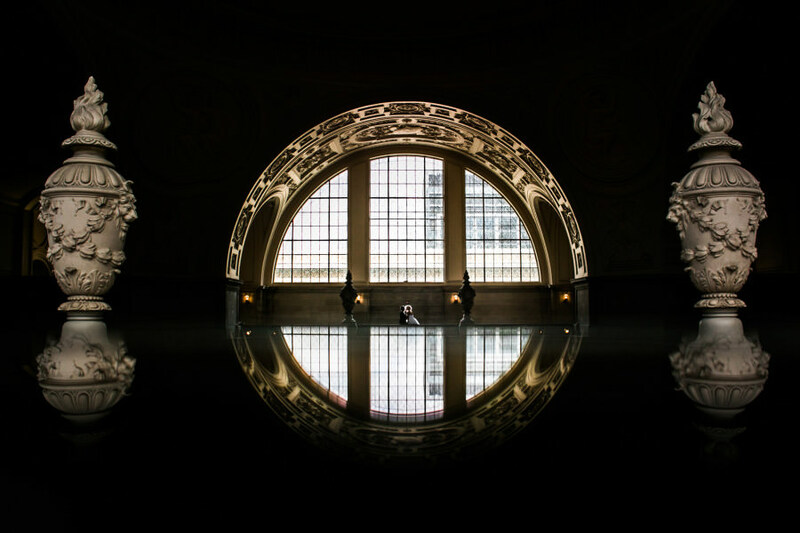 Christine and Jeff get married at San Francisco City Hall, with portraits at their favorite city landmarks. 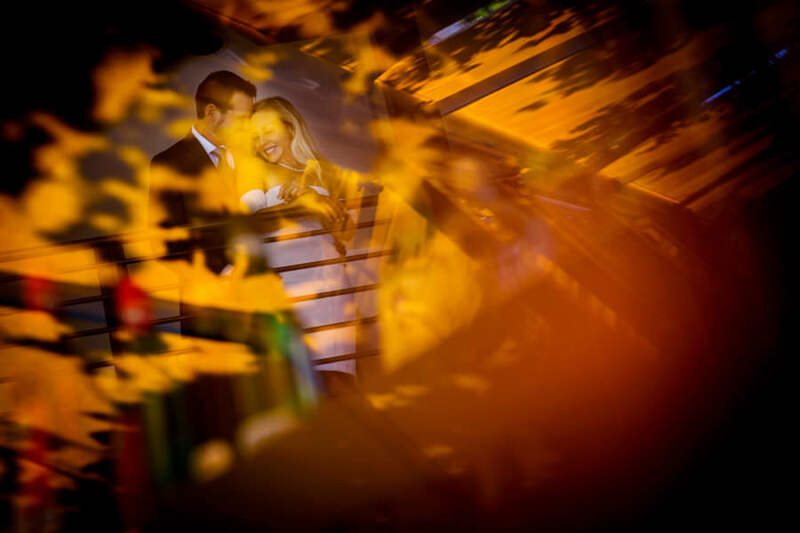 Chrisman Studios photographers share a collage of City Hall weddings from 2013. 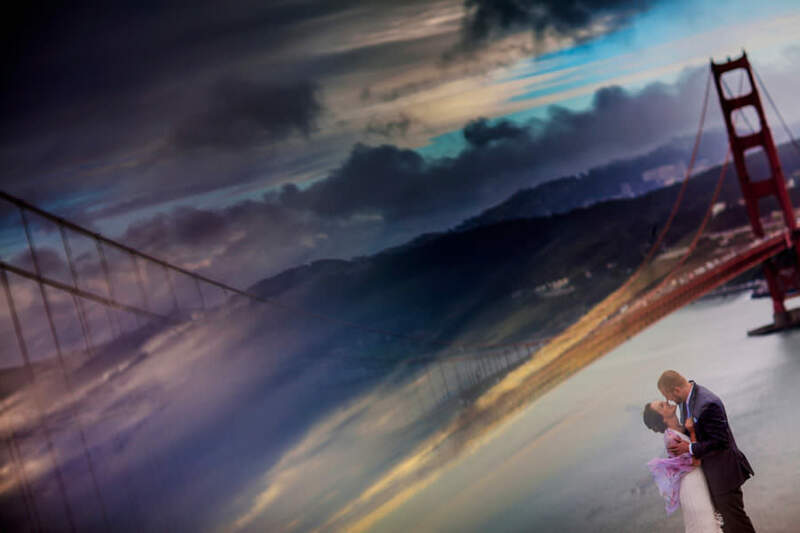 Two foodies get married at SF City Hall in front of 200 family and friends, then embark on an around-the-world honeymoon.